Set in the same universe as The Walking Dead, new series Fear the Walking Dead is a companion drama that follows the undead apocalypse through the eyes of a broken family. Travis Manawa, a step dad and English teacher, and Madison Clark, a high school guidance counsellor, are faced with shocking news that their son, Nick Clark is in a hospital. Though their son has been located, the reason why may cause your stomach to turn. If you love blood and dismantled body close ups, then Fear the Walking Dead is the series for you. Action starts within the first 5 minutes of the first episode and focuses on the start of the apocalypse. Unlike The Walking Dead which throws you straight into the story half-way through, Fear the Walking Dead starts at the beginning of the timeline. 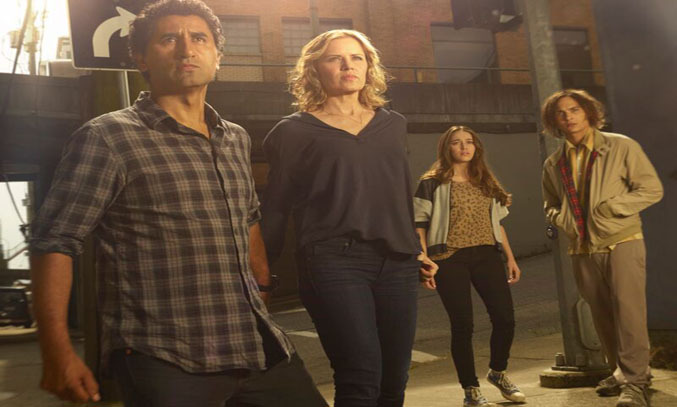 While the first episode boasts plenty of unanswered questions like, “what happened to Nick and Alicia Clarks father?” or “What happened between Liza Ortiz (Elizabeth Rodriguez) and Travis Manawa?” and “How did the zombies become zombies?”, Fear the Walking Dead certainly appears to follow a more linear process, developing our understanding of the new characters as the series develops. Though I am not personally into bloody, flesh eating zombies, I am all about character development and the first episode of Fear the Walking Dead certainly gets that right. 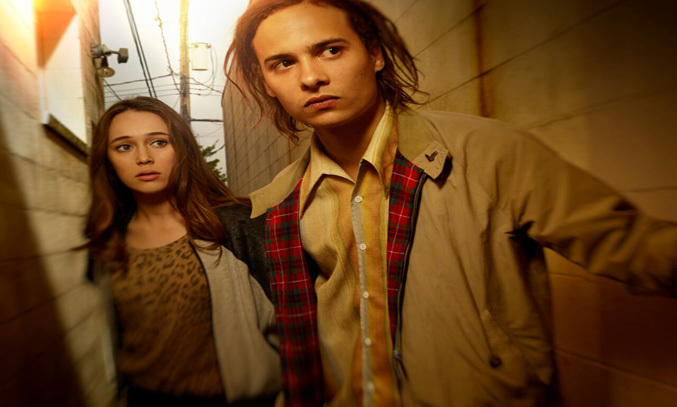 Nick Clark (Frank Dillane) is the focus of the first episode and is probably my favourite character. Dillane portrays a believable performance of a drug addict who begins to lose his mind and without giving away too much, I would have to say my favourite scene is in the café when he’s talking to his step dad, Travis Manawa (Cliff Curtis) in the hospital. I also have to give credit to the series’ soundtrack, with the pace of the music, the subtle build up of sound and the dramatic rhythm, all on point. For viewers like me who don’t really enjoy “bloody” horror (mainly because the close ups leave my stomach churning – weakling to some, I know! ), I actually enjoyed the pilot episode of Fear the Walking Dead. I found the pace to be good – not too fast that you have all the information at once and not too slow with introductions to the characters, which I find is vital. Though this episode focused mainly on Nick Clark, I certainly intrigued to find out more about his sister Alicia Clark, played by Alycia Debnam-Carey. While her character was subtle but still present in this episode, there is an underlining mystery to her. I’m also interested to find out more about the Travis’s family, Christopher Manawa and Liza Ortiz as the first episode skipped over their history, however their roles are sure to develop over the course of the series. If you’re a fan of The Walking Dead or American Horror (stressing on the point of American), then this is the show for you. An enjoyable first episode that’s certainly worth a watch! Fear the Walking Dead makes its UK premiere at 9pm on 31 August on AMC, a brand new channel available exclusively to BT customers. This blog post was sponsored by BT. Neelam Rehman (aka filmFANatiction) is a performance design and practice student, blogger and London theatre/film/bubbletea fanatic. Follow her posts on filmFANatiction and Frankly My Dear. BFI #LFF 2015: Danny Stack talks WHO KILLED NELSON NUTMEG?